The day on which the average American has earned enough gross income to pay off his or her share of the spending and regulatory burdens imposed by government at the federal, state, and local levels is called the Cost of Government Day. 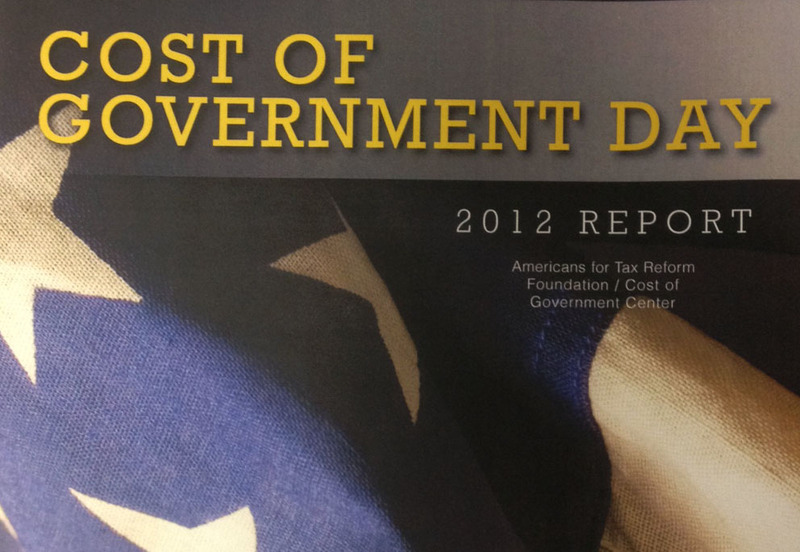 For 2012 the Cost of Government Day was last Sunday, July 15. 197 days worth of your earnings (up through last Sunday) went to federal, state, or local governments. The cost of government makes up 54.0 percent of annual U.S. gross domestic product (GDP). Read this report! A 5 percent reduction in regulator budgets would increase GDP by $376 billion and expand employment by 6.2 million jobs over the course of five years. I’d love to see this calculated on a small business basis, for whom the cost of compliance of the ever increasing burden of regulatory decrees is dissuading both investment and hiring. According to the analysis, just the cost of compliance with regulations (regulatory burden) is worth approximately 69 days for the average American worker. These costs are estimated conservatively- taking into account only the cost of complying with regulations: the material resources and labor needed to carry out compliance. Not counted are the negative economic effects of regulatory requirements—the deadweight loss of these policies. Over the last ten years, regulator budgets have grown by 72.5 percent, much faster than the decade’s growth in regulatory costs. Get a copy of the 2012 report as a pdf here. 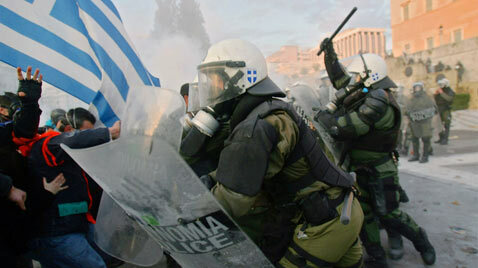 At what point do you think that the burdens will be such that they will be unsustainable? This entry was posted on Monday, July 23rd, 2012 at 10:41 am and is filed under Engineering, Front Office, Shop Floor. You can follow any responses to this entry through the RSS 2.0 feed. You can leave a response, or trackback from your own site. I knew, somehow, I felt better last Sunday.